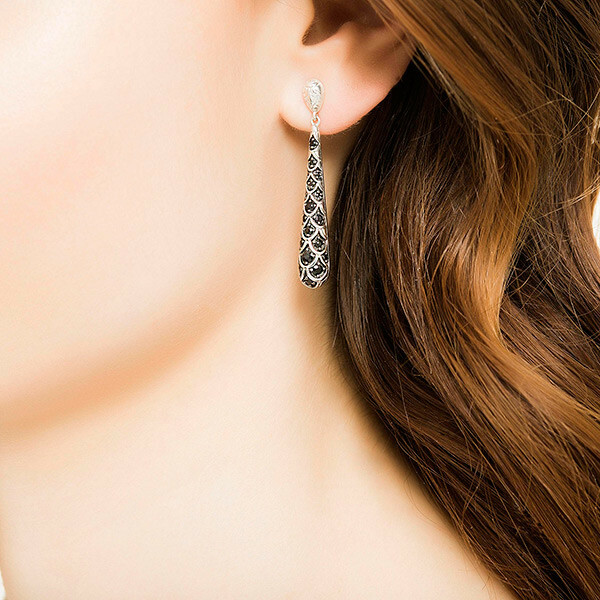 With a flair for the dramatic, these John Hardy drop earrings are showcased in the Naga collection. Each stunning earring is fashioned as an elongated teardrop with the dragon scale motif hand carved into the surface of each piece, and scintillating black sapphires accentuate the scaled design with sparkly flair. An egg-shaped post of sterling silver drops this amazing conglomeration, so that it twinkles with magical elegance. 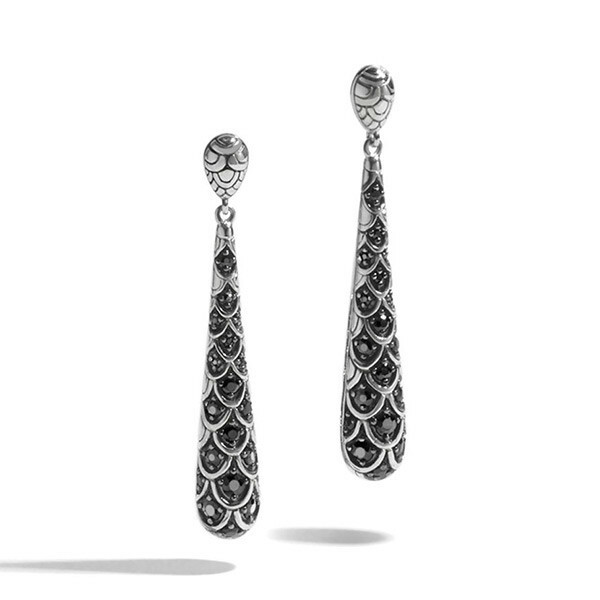 You will enchant any audience wearing these fine John Hardy earrings.